Our philosophy underpins how we work with both our clients and candidates. 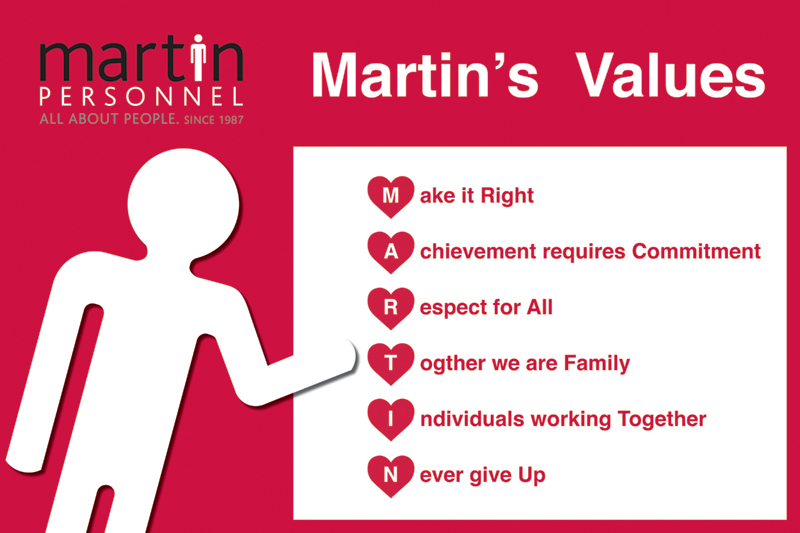 To deliver our core commitment ‘All About People’, we put people at the heart of our business. Establishing great relationships requires investment from both parties. Martin Personnel has listened to clients and candidates, harnessed many years of experience and introduced systems that allow us to focus on fostering these relationships. Expertise and depth of experience – collectively we have over 60 years working in recruitment and related fields. We also have a lot of life experience to contribute that can make a real difference!